Brushes & Brews "Northern Lights" at the Thirsty Dog Taphouse | Thirsty Dog Brewing Co. 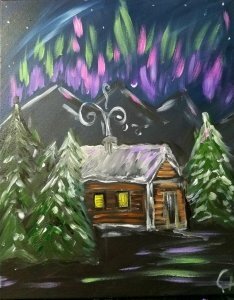 Enjoy the delicious cr aft beer selections at the Thirsty Dog Taphouse and learn to paint your own rendition of “Northern Lights” with your own creative flair. Connie Kramer will give friendly, no-pressure instruction–beginners are welcomed and encouraged. You may pay online with a credit card or cash or check in person the night of the event. Please register with the link listed above to reserve your spot.